BackyardCity.com offers several different sizes in fake garden rocks from DekoRRa products. 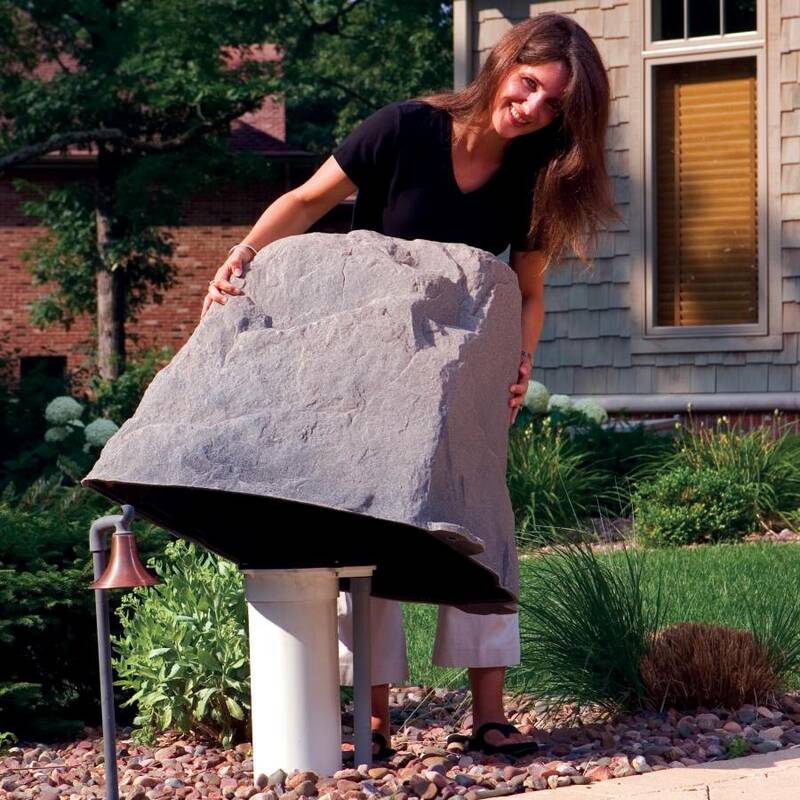 The rocks are constructed of an all new textured material call RealRock™. The model 102 measures 27 inches long by 21 inches wide and 25 inches high and can be used for well or septic systems up to 18 inches tall or small pump systems.